A recurring career coaching conversation: clients beating themselves up for not being focused at work, procrastinating and lacking motivation… failing to recognise that motivation does not just come from within. Without some external factors in place you’ll always struggle to consistently give your best at work. PURPOSE – or in other words, this work matters to me. What kind of work is important to us? It must resonate with your personal values. Someone with very people focused values could be working in a highly paid City job where is it all about bottom line. They could have a great lifestyle but for most of the week they will be deeply unhappy because they are compromising their values at least 5 days out of 7 (and the other 2 dreading Monday morning). No way to live your life. We all have to compromise our values, often daily, but if it is temporary thing we can live with it. Offered enough money I think most could work against their values for a couple of years if there was a specific goal in mind. But eventually the truth will out! And that’s when one MUST move on or accept being miserable for 40…50…60 hours a week. No thanks. 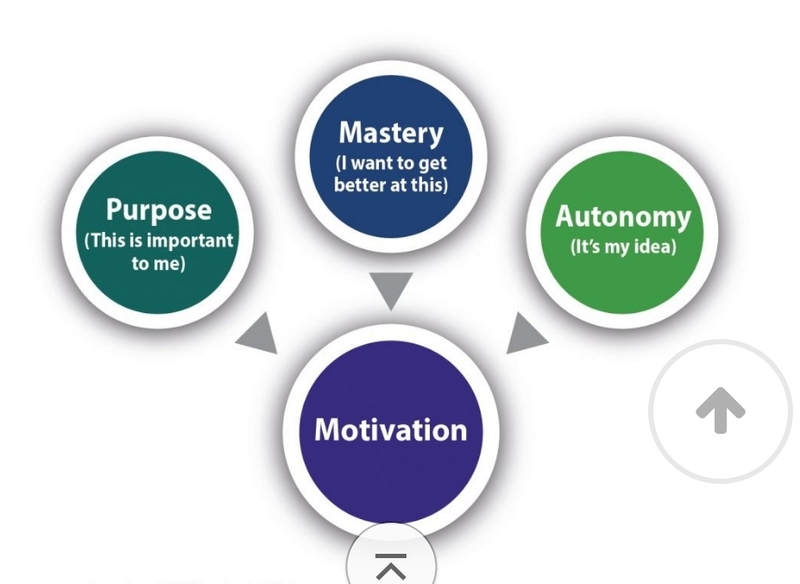 MASTERY – feeling you are on top of your job but being able to improve and get better at it. In part this depends how supportive your company – especially your boss – is in giving you the time and tools to grow and develop. Being good at your job feeds directly into your sense of selfworth and your confidence. Who hasn’t sat there in the first day in a new job feeling dumb, not knowing anyone or where anything is or how anything works. It has an immediate impact on how you feel and perceive yourself. Contrast that with how yu felt in your last job when you were so on top if it you were bored – hence moving on! 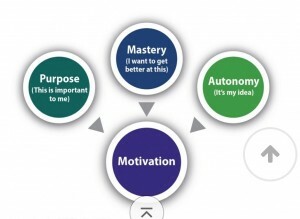 AUTONOMY – this is often the deal breaker because you really do have limited control here. Much depends on company culture and your organisation’s attitude to staff development, but mainly on your boss you have. If you have a boss who for the most part lets you get on with it within broad parameters yet is there to help and support when you want it, you’re going to thrive. The fastest way to make someone unhappy in a role is to micro manage them. You have taken away their control in one stroke. In 16 years of coaching I’ve yet to meet anyone who works well in that situation. But, when you feel you are mostly paid well and these three drivers are in place people don’t just thrive but will often exceed their own expectations of themselves. So do a quick audit. Give yourself a mark out of 10 for each one. If it is 7 or above for all three, you’re doing good so ditch any grass is always greener thinking. Anything below solid 7’s, there’s room for improvement and you probably find yourself frustrated every week about something. And if you are scoring 3 and 4’s GET OUT NOW!